Delhi Local Sightseeing - Delhi is fast gaining popularity as a global city. Here, one can find old architectutral marvels juxtaposed with modern architectural wonders. Some of the most famous attractions that can be enjoyed here are the India Gate, Red Fort, Lotus Temple, Jantar Mantar, Jama Masjid, Qutub Minar, Bangla Sahib Gurudwara, Rajghat and many other famous landmarks in Delhi. Best Shopping Places in Delhi - Connaught Place, Palika Bazar, Janpath, Sarojini Market, Lajpat Nagar Market, Karol Bagh Market, Khan Market, Dilli Haat, Chandni Chowk, Greater Kailash. Agra- Besides the famous Agra Taj Mahal, Agra Red Fort, and Fatehpur Sikri visitors can also visit the Red Fort located in the city. 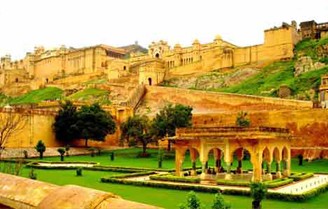 Jaipur- This city is famous for its royal splendour that is manifested in its beautiful forts, palaces and temples. Amber Fort, Hawa Mahal, Palace of the Winds, Albert Hall Museum, Jantar Mantar Observatory, Jaigarh Fort, Chokhi Dhani, Raj Mandir Cinema, Birla Mandir, Rambagh Palace, Visits to the Forts of Jaipur, Wildlife Safari in Jaipur, Village Jeep Safari in Jaipur, Nahargarh Fort, Jal Mahal, Bazaars of Jaipur, City Palace, Jantar Mantar, Moti Doongri Ganeshji, Govind devji Temple, Kanak Vrindavan and many more can be visited. All these three places witness extreme weather conditions. The weather of these places is very cold in winters and very hot in summers; hence visitors must visit these places in the months of October to March. One can choose from among Golden Triangle travel packages and enjoy a great time. Shopping and rich culture of these places attracts a large number of visitors. 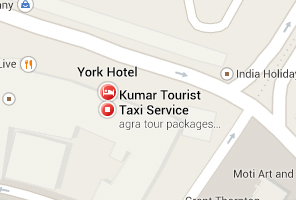 To enjoy these attractions, book Golden Triangle Packages. 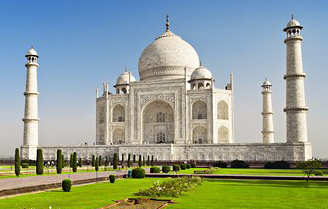 Golden Triangle Tour Packages - Best offers on Golden Triangle travel packages at Kumar India Tours. Click to book customized Golden Triangle packages & get exciting deals for Golden Triangle Tour vacation packages. Call @ 9312215180/ 9811431783 Car/Taxi Rental From Delhi Agra Jaipur Golden Triangle Tour Packages, Delhi Agra Jaipur by Taxi/Cabs/Car and Driver, Rajasthan Golden Triangle Tour Packages, Delhi Agra Jaipur Tour Car Rental, Golden Triangle Tour Deluxe Van 9 to 11 Seater Deluxe 1x1 Tempo Traveller, Golden Triangle Taj Mahal Tour, Golden Triangle Weekend Tour, Golden Triangle Holidays Tour, Delhi Jaipur Tour By Car, 2 Nights 3 Days Golden Triangle Tour Packages From Delhi, Delhi Agra Tour By Taxi, Agra Taj Mahal Tour From Delhi By Car, Golden Triangle 4 Night 5 Days Tour Package, Golden Triangle 5 Nights 6 Days Tour Package, Golden Triangle Delhi Agra Jaipur Tour Packages Hire Car and Driver, Golden Triangle Tour From Delhi By Car, Cab Hire From Delhi Agra jaipur Tour Packages, Rajasthan Golden Triangle Tour By Car Taxi Hire, Delhi Tourism Golden Triangle Tour, Rajasthan Tourism Golden Triangle Tour, India Golden Triangle Tour, Delhi Tourism Delhi Agra Jaipur Tour, Rajasthan Tourism Delhi Agra Jaipur Tour, Golden Triangle Taj Mahal Tour, Golden Triangle Weekend Tour, Golden Triangle Holidays Tour, India Delhi Holiday Tours, Tour Packages From Delhi, Golden Triangle Agra Taj Mahal Tour Packages, Car Hire in Delhi, Car Taxi Rental For Golden Triangle Tour From Delhi, Golden Triangle Delhi Agra Jaipur Tour, Golden Triangle Tour From Delhi By Car and Driver, India Golden Triangle Tour, Golden Triangle Taj Mahal Tour, Golden Triangle Weekend Tour, Golden Triangle Holidays Tour, India Delhi Holiday Tours, Delhi Short Tour Packages, Tour Packages From Delhi, Delhi Agra Jaipur Tour, Golden Triangle Kumar India Tour, Golden Triangle Short Tour, Golden Triangle Delhi Agra Jaipur, Golden Triangle Tour, Golden Triangle and Golden Temple Tour, Golden Triangle Tour india, Golden Triangle Tours, Golden Triangle Short Tour, Golden Triangle Wildlife Tour, Golden Triangle Weekend Tour, Golden Triangle Holiday Tour, Golden Triangle Tour By Car, Golden Triangle Delhi Agra Jaipur Tour.